Clear and reliable potential separation is becoming more and more important for the reliability of industrial automation facilities. Modern relay or optocoupler interfaces fulfill the most varied tasks. 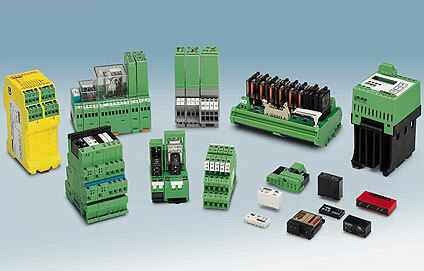 Whether in production engineering, for the electrical equipping of machines or in control engineering for power distribution, building automation and materials processing - the main aim is to guarantee the exchange of signals between the process peripherals and the higher level control systems. This exchange must provide reliable operation, be floating and electrically unambiguous. Long service life, independent of the number of switching operations.